Part of feeling like you have the run of a neighborhood is knowing the spot for all your favorite types of cuisine. These days, New American farm-to-table fare seems to reign supreme, with new restaurants opening all the time. But some nights, pan-seared branzino and bougie burgers just don’t cut it, and you long for the authentic tang of international flavors. Though roti shops and ramen bars don't line the streets of the Hudson Valley the way they do down in the city, they do exist. You just have to know where to look. Once upon a pre-woke time, we would have called this an “ethnic food” roundup. In recent years, other publications have avoided the nomenclature question by masking similar pieces as "cheap eats" (problematic in and of itself). We’re going with global culinary offerings—some of them cheap some of them $30 a head. All delicious. So without further ado, here is our guide to the best global cuisine in the Hudson Valley and surrounding areas. You can thank us later. Started by Big Cheese geniuses Yuval and Lisa Sterer, this Rosendale haunt has passed into the care and ownership of Jordanian chef Naheda, who is rocking out with a pan-Mediterranean/Middle East menu. The only place on Main Street with a front lawn, the outdoor dining patio at Garden House is a little Eden, dotted with fruit trees and enclosed by an antique wrought iron fence. The restaurant caters to all dietary restrictions with a dairy-light menu and a whole section of vegetarian dishes from the mujaddara (rice and lentils) to the chickpea tagine. Meat eaters can revel in perfectly prepared, expertly seasoned lamb and chicken dishes like kofta kabob, grilled quail, and rack of lamb. The price point isn’t cheap, but you’ll leave full and happy. There is also a family platter for larger groups, offering a mix of all the delicacies so you don’t have to pick and choose. On a highly visible corner at the funny six-way intersection of Hasbrouck, Prince, and O’Reilly streets in Midtown Kingston, sits an inconspicuous gem. 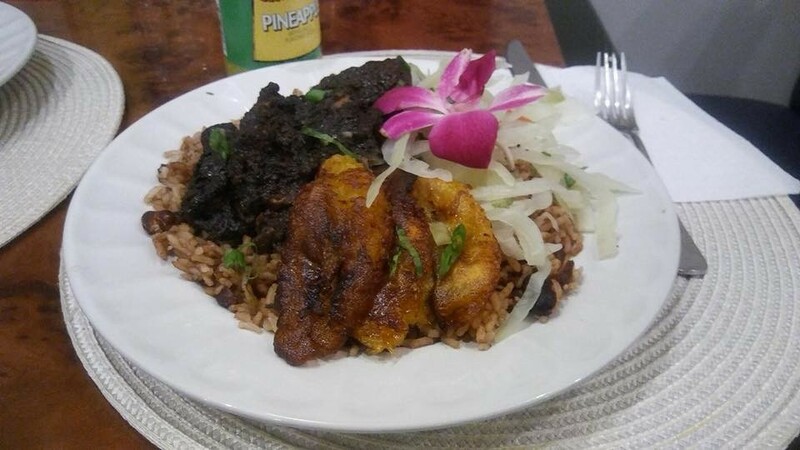 From the outside, Top Taste sort of looks like a bodega, but inside you’ll find all the finger-licking, bone-in Jamaican delicacies you could ask for—oxtail, jerk chicken, curry chicken, stew chicken, beef patties, and goat curry, which is to die for. There is also a hot bar, and rotating daily specials, which often including fish dishes. The restaurant only seats about 4 people so it’s mainly a takeout spot. Cash and card accepted. 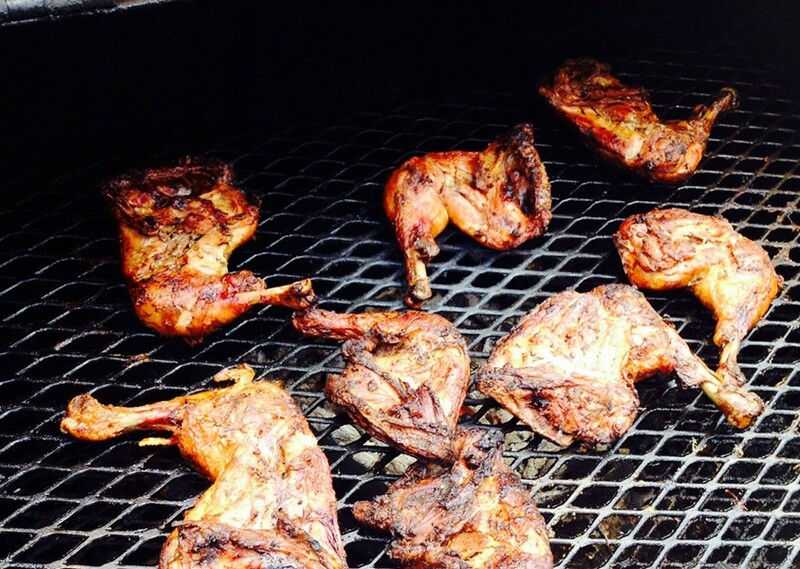 We heard straight it from a Caribbean-born Ellenville resident, this is the best food around. Known for its delicious spicy curries and stews and super friendly waitstaff, Island Pepper Pot is a shining treasure in a town not exactly known for its culinary scene (apart from Aroma Thyme). Aside from pan-Caribbean classics (curry goat, oxtail, roti), they offer up fish specials including red snapper and ackee and saltfish (served with fried dumplings, sweet plantain, and cabbage). Portions are large, so you’ll either leave very full and very happy or with leftovers for lunch. Don’t forget to order a Guyanese cream soda to go with your meal, and a Caribbean fruit cake to cap things off. Though it bills itself as a Spanish restaurant, this cuisine is definitively Colombian. Bright and cheerful with banana-yellow walls and Colombian decor, Don Hugo’s is a lovely little spot to grab some Latin and Caribbean cuisine. Chicharron (pork belly), empanadas, yuca, tostones, grilled chicken, alcapurrias, Bandeja Paisa—all the goodness you can dream up, made to order, and at an affordable price. Eat in for the full, friendly experience (yes, they have a liquor license) or pick up for a home feast. Mount Kisco is a little outside the parameters of the Mid-Hudson Valley, but considering how rare (and delicious) Ethiopian cuisine is, we figured this spot was worth mentioning. Tucked away in a quaint brick plaza mall, Lalibela has garnered attention from the likes of the New York Times and Zagat. Charming in its utter lack of pretension, Lalibela has warm yellow walls, twinkle lights, and sidewalk seating. At this utensil-less eatery, sop up your stew with fresh-made injera bread, cooked with the distinctive Ethiopian grain maskal teff. 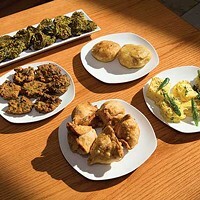 There is a wide range of vegetarian options, in addition to the traditional lamb, beef, and chicken dishes (think tibs). Reasonable prices and great service are a couple more reasons to make the trip to Westchester, in case you weren’t already convinced. At Kingston's classic Parisian bistro, owner Jean-Jacques Carquillat prowls the floor like a jovial French bear throwing a never-ending dinner party. Carquillat constantly greets the faithful, making sure the plates come out of the kitchen in perfect form (when he’s not cooking; Carquillat is also the executive chef), pouring wine, working the room, and introducing diners across tables. While some French restaurants tend toward austerity in food, service, and décor, (a rigor that can lead to rigor mortis), Le Canard is a decidedly unfussy place, casual in its manners but not its food. You can order a salad as an entrée and not be looked at askance, as if you were a cheapskate squatting on prime real estate. Stop in for one of Le Canard's trustworthy French classics, like duck confit, snails in garlic butter, or croque monsieur. For a country whose languages number in the hundreds, deities in the thousands, and residents over a billion, India's cuisine has been rather crudely abridged for the Western palette. Whereas most Indian restaurants ply you with a predictable list of Sub-Continental All Stars (ahem, vindaloo), Cinnamon offers a tour of almost every Indian state from Goa to Punjab, excellently executed in an upscale setting. This Red Hook eatery is a white tablecloth establishment serving up creative Italian cuisine in a sophisticated setting that somehow manages not to take itself too seriously. With a strong vino list and a constantly rotating menu, Mercato offers an ever-new experience, bringing an authentic Italian touch to the freshest local, organic ingredients. Choose from handmade pastas tossed with seasonal veggies and wild foraged mushrooms or grilled fish like the Mediterranean branzino served with with Sicilian-style caponata. Mouth watering yet? If you’re going on a weekend, make a resy, this place fills up. This another one of those dead-end strip mall destinations that is totally worth the trip. Trained in Satsuma and Tokyo, Sushi Master Makio Idesako came to the US in 1972 with the dream of opening his own sushi restaurant. It make lack glamour, but the service is impeccable and it is definitely Chef Makio’s slate for expression. Excellent sushi and sashimi prove the quality of the seafood sourcing, which includes less common items like shad, pike mackerel, amberjack, and flying fish roe. The long list of signature rolls offer a delicious flare that is approachable for any level of sushi enthusiast. SushiMakio also has a bang up sake list to go with your meal. Special occasion? Reserve 24 hours in advance for the Omakase Dinner, a six-course chef’s feast for two ($170). With walls, chairs, and tables the color of the Mexican flag, this restaurant is LOUD, but it can walk the walk, so it’s worth it. A favorite of Marist students, El Azteca serves up perfectly prepared elote (street corn), tortas, tostadas, sopes, flautas, and of course, tacos. Order three for $9, or add rice and beans for $11. 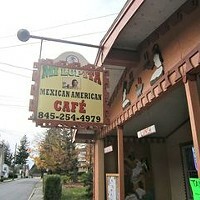 It’s not the cheapest Mexican food we’ve seen, but it’s damn delicious. Don’t forget to try the flan. As Crosby, Stills, and Nash once crooned, “Would you know we're riding / On the Marrakesh Express / They're taking me to Marrakesh / All on board the train.” Quite. We’re very excited for the Mid-Hudson Valley’s first Moroccan eatery, which opened in July. 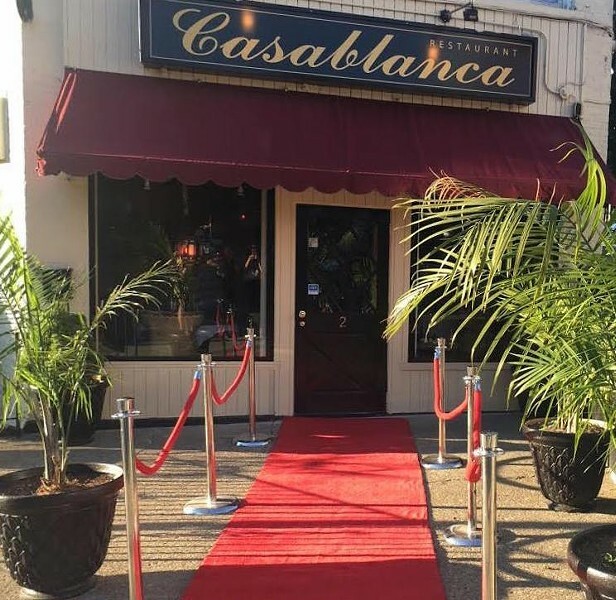 Casablanca native Azeddine Yachkour and his wife Mary Sweeney are at the helm of this new endeavor in Poughkeepsie’s Little Italy district. The new spot is cheap and cheerful, and open 7 days a week, so head on down. Like the Incan citadel for which it’s named, Machu Picchu in Newburgh is a destination worth the voyage. Rather than serving haute cuisine, this restaurant specializes in authentic Peruvian home-cooking. Ceviche fans will not be disappointed with the offerings: Camaron (shrimp), Pescado (fish), Mixto (mixed), or Leche de Tigre—a deliciously spicy seafood cocktail served up. To start, sip on Pisco Sour and pick from South American classics like empanadas, yucca, and tostones. There is always a delicious selection hearty soups and stews, and the mains are all served with a generous portion of rice and beans. Head to Machu Picchu on Sundays for the Pollo a la Brasa special (Peruvian Rotisserie Chicken). Coming from someone who lived in New York City for many years, this is, by far, my favorite Thai restaurant. Impeccable, flawless service. Beautiful space, always clean. Gracious, respectful staff with fabulous manners and unfailing attention to detail. They are mindful and communicative when it comes to dietary restrictions, which is hard to come by. Countless vegan options. They get orders right, and plate them quickly and beautifully. It is always a joy to eat here. I have been here countless times, and I am always beyond impressed with everything about the experience. Trendsetter, culture curator, force to be reckoned with—Nhi Mundy is the brains and brawn behind not only three Ba & Me locations, but also the Sullivan County-centric lifestyle magazine DVEIGHT. A Vietnamese-American, Mundy seeks to recreate the good, honest Vietnamese home-cooking of her childhood. 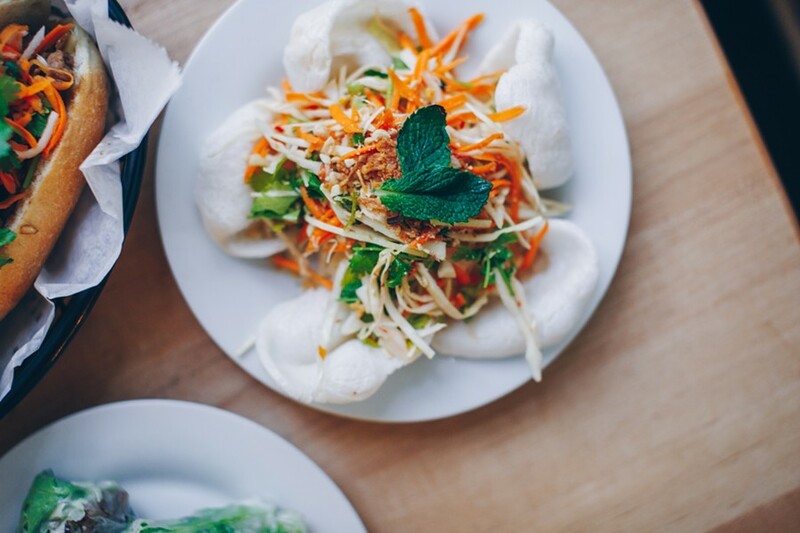 Choose from rice bowls like the Lemongrass Pork or the 5 Spice Chicken; and a range of pho options from a Vegan Pho to the Chicken Egg Noodle (both $12).